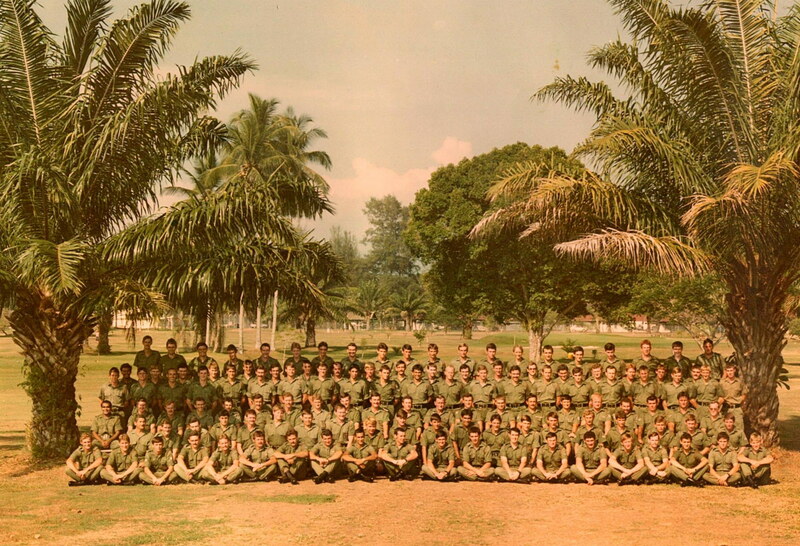 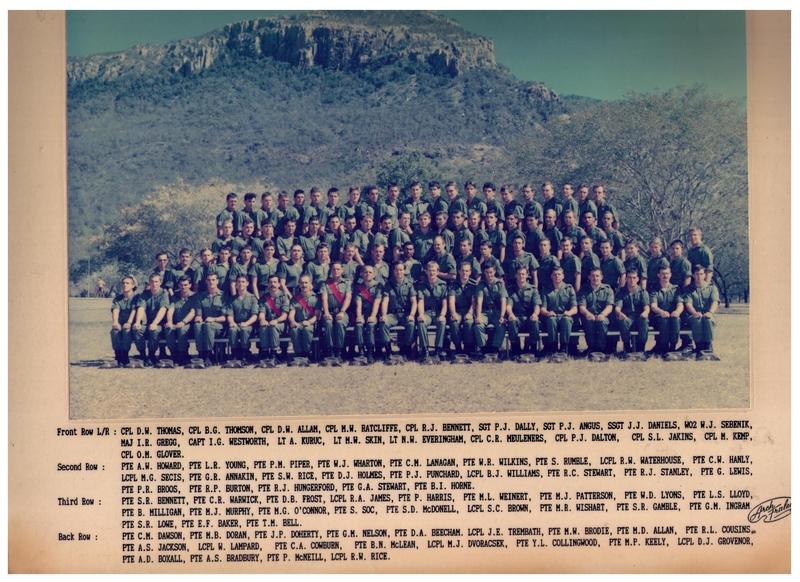 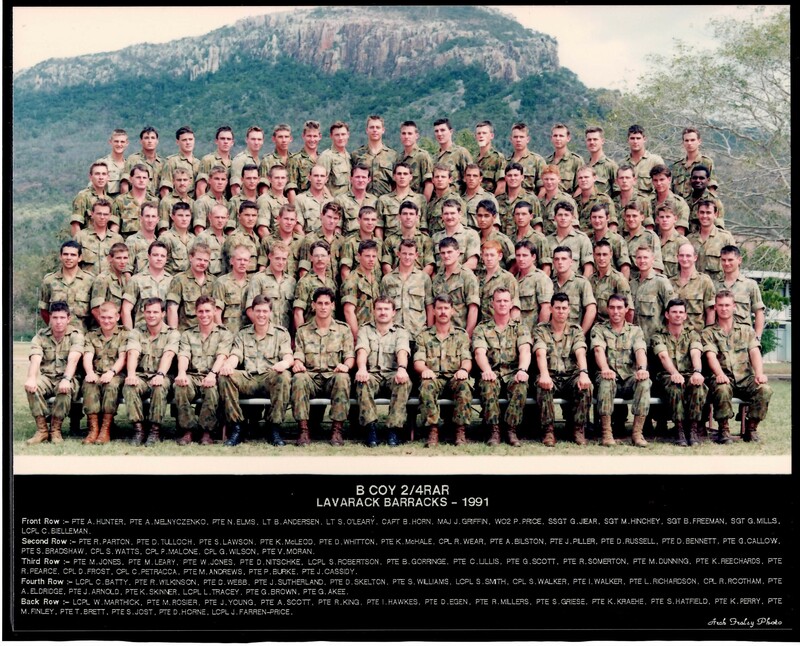 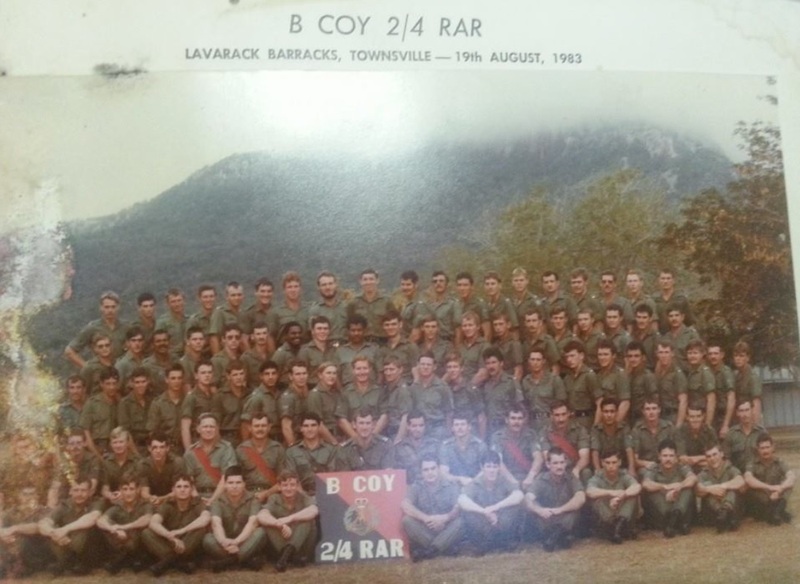 The motto for B Coy ‘Hook In’ was based on B Coy 4 RAR and is derived from an Infantry minor tactic. 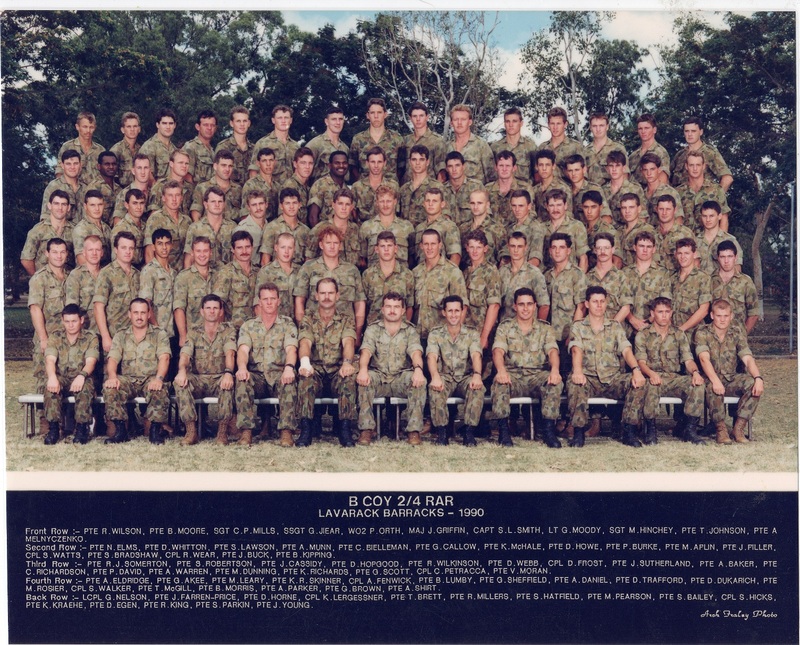 If a rifle section from B Coy was contacted by the enemy on ops the Section 2IC would prop and provide covering fire with the machine gun group while the rifle section led by the Section Commander flanked the enemy and ‘Hooked In’ from the side. An extremely dangerous tactic to perform requiring perfect timing. 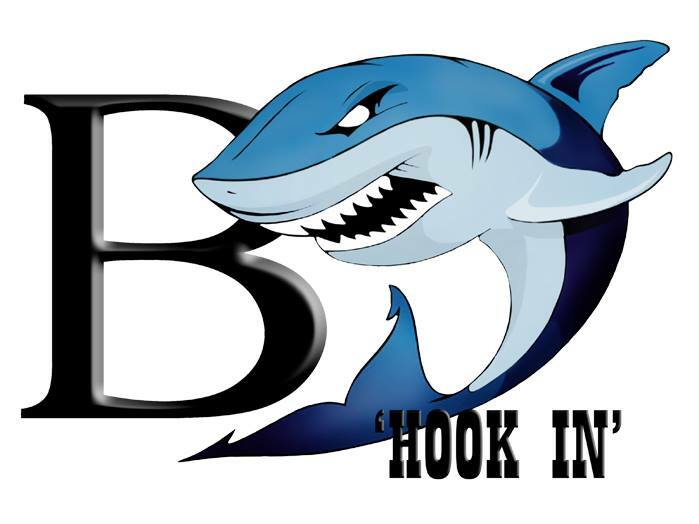 The shark is part of the B Coy emblem because of this reason….it circles its prey and attacks from the side. 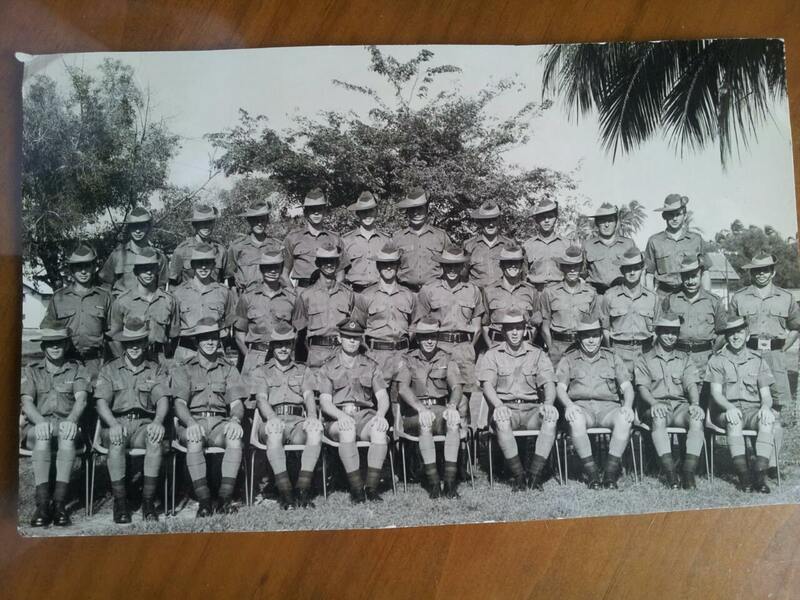 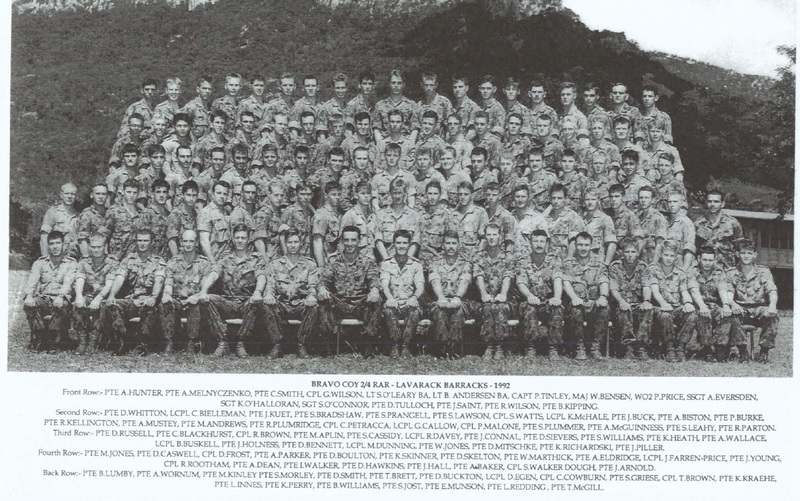 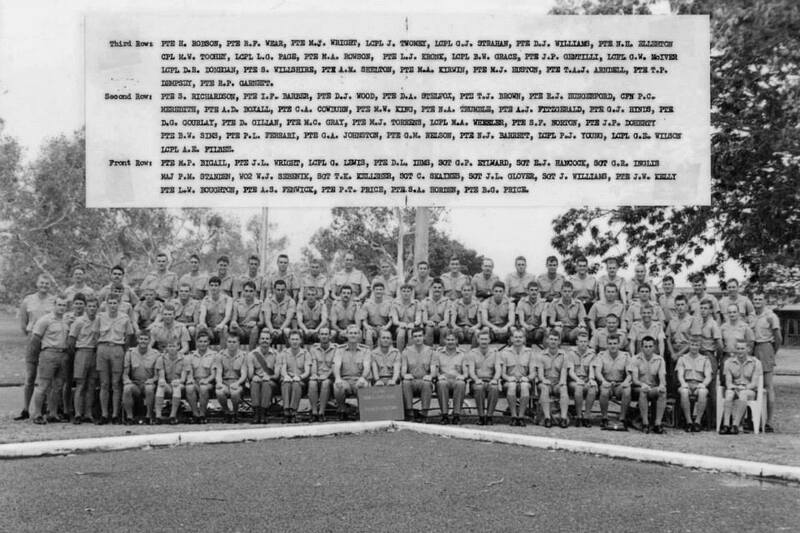 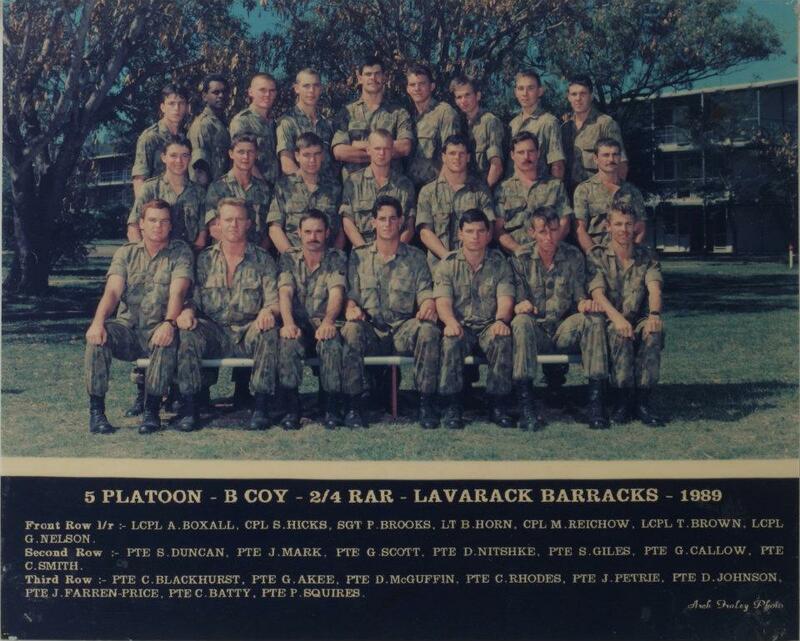 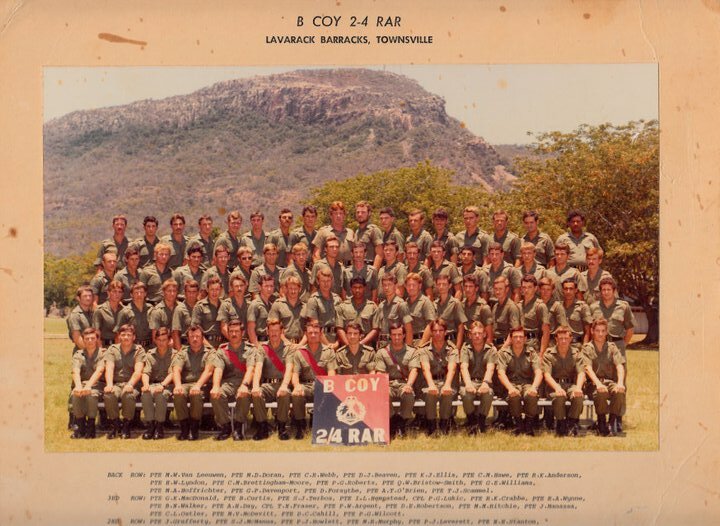 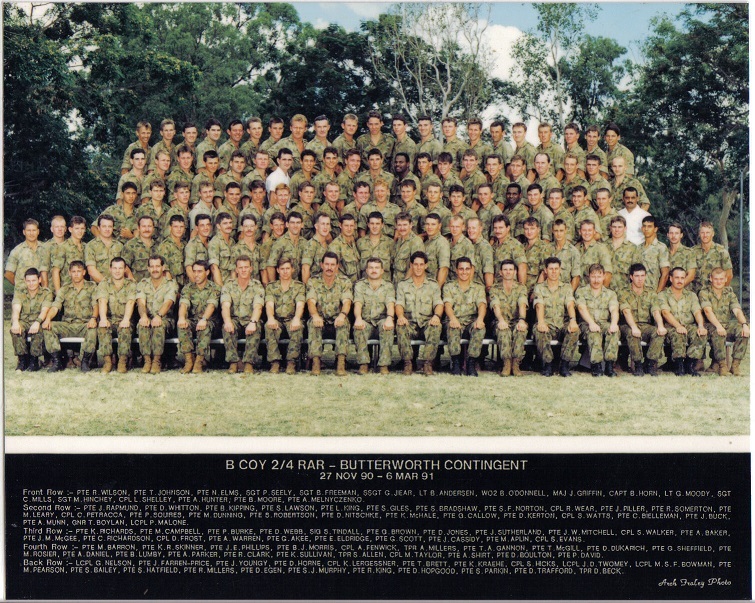 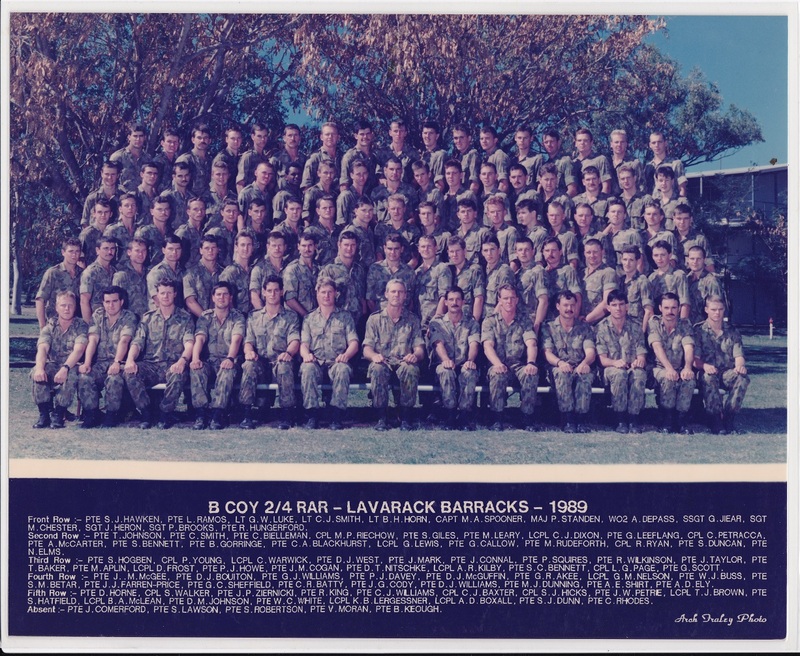 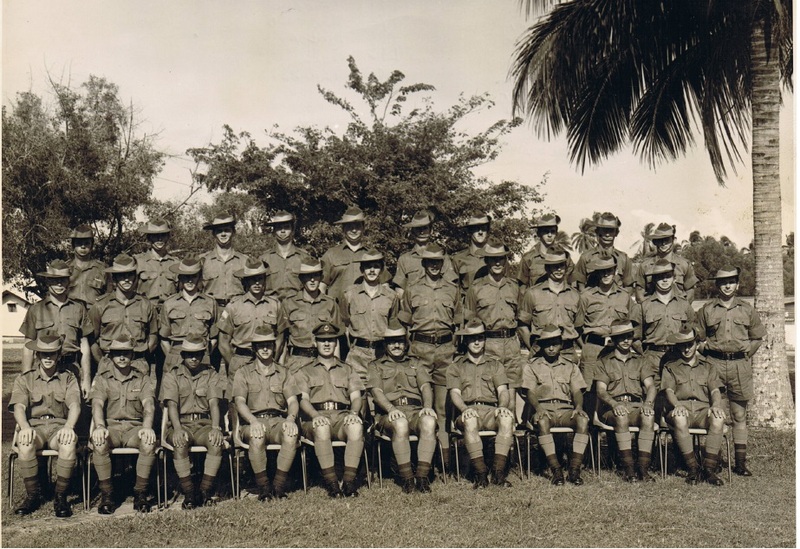 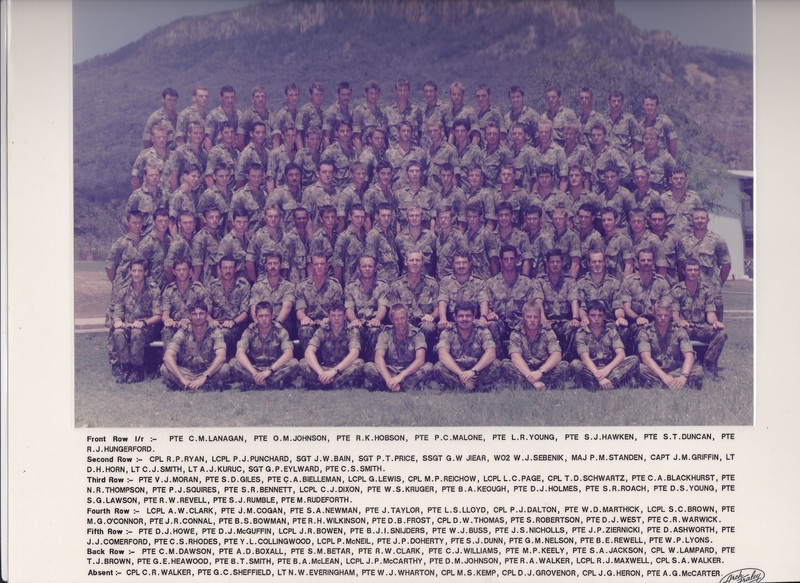 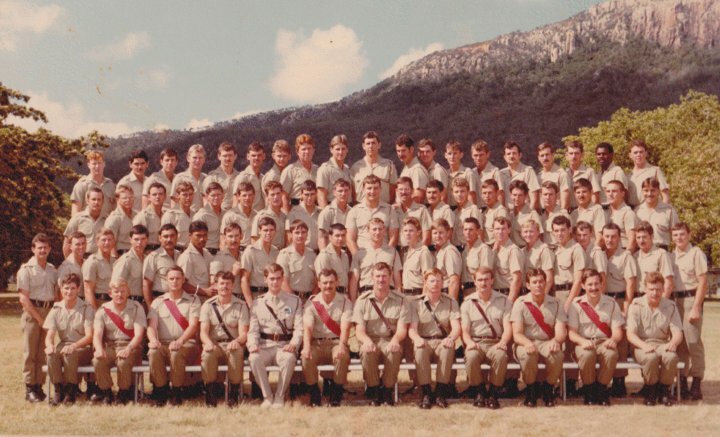 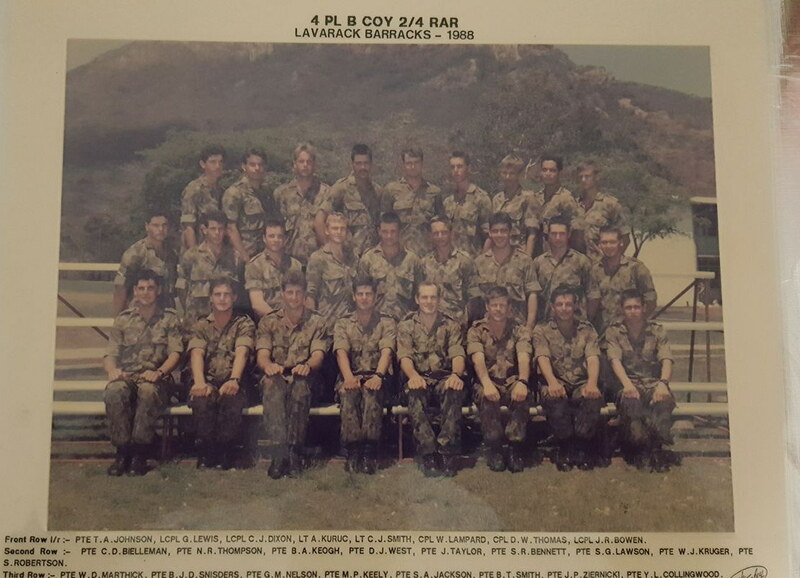 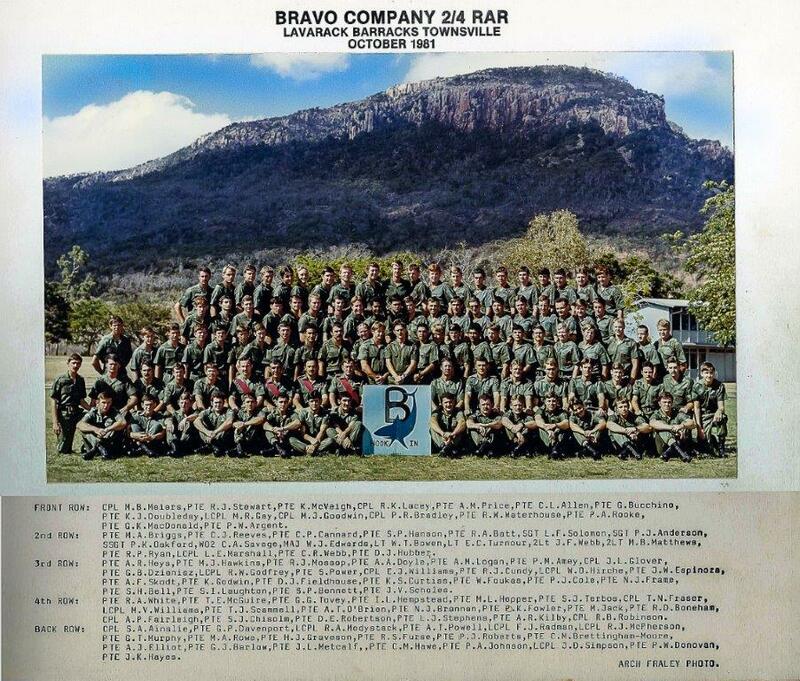 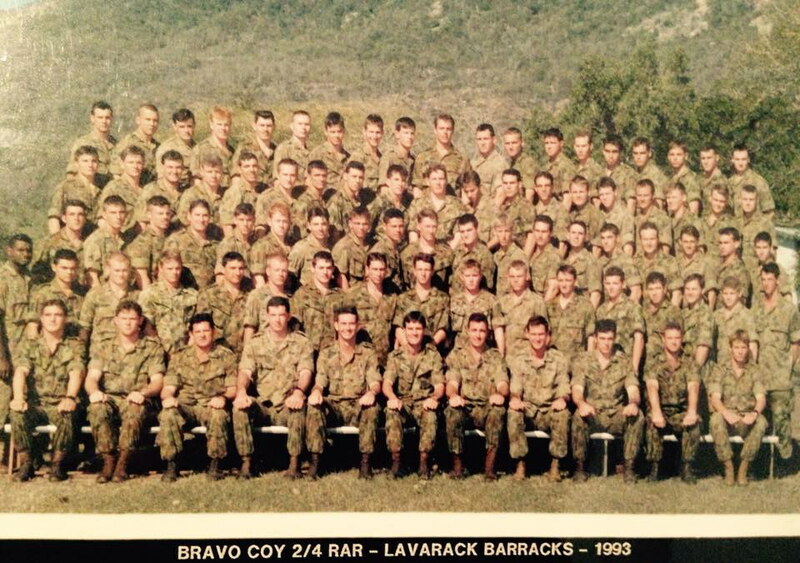 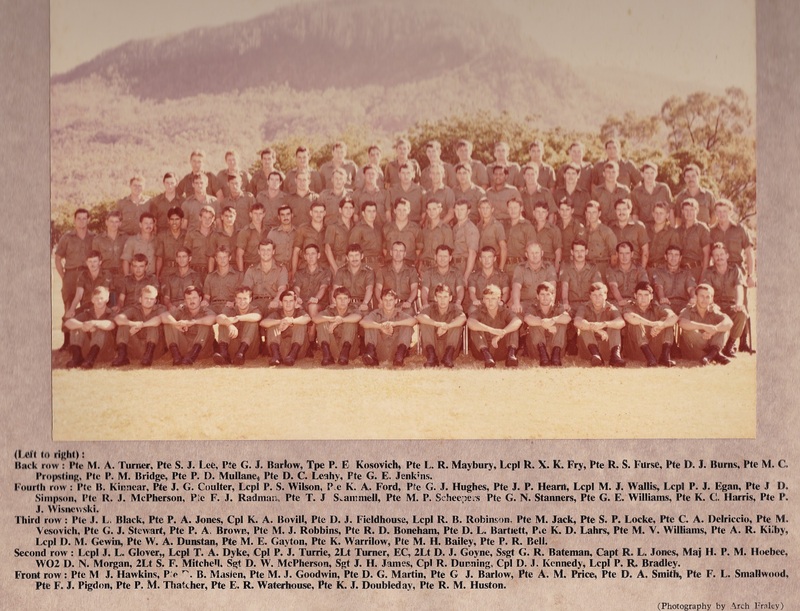 The motto ‘Hook In’ and the shark was adopted by B Coy 2/4 RAR. 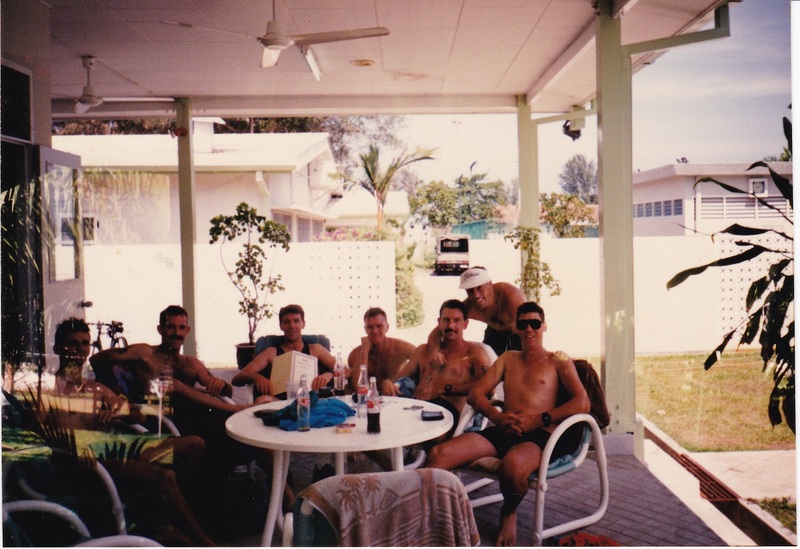 Thanks to Peter Leverett for dating the photo for us.